When the power fails, everyone is affected. Power outages or electric issues in schools and municipal buildings or bridges and dams can lead to unsafe conditions for many people. Power the community with long-term, reliability solutions from B&B Electric. From schools and municipal buildings to bridges and dams, B&B Electric can create a high-quality electrical solutions that are built to last. For your public works electrical project, we can acquire permits, design, install, and provide ongoing maintenance. Your building or public works project provides support services and benefits to many people, make sure the power doesn’t fail. With years of experience and a staff dedicated to exceptional work, you can depend on us to create electrical solutions that last. Don’t let an interruption of service or outage interrupt your efforts, power the community with B&B Electric. 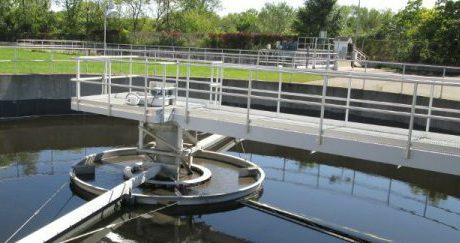 The Chippewa Falls Wastewater Treatment Facility was struggling with an outdated treatment facility and process. The customer sought out a new integration system to make the existing process more efficient and resourceful. See our recent public works projects and see what’s possible for your next project.